Mr. Franklin D. Thompson ‘Tullum’ was born January 18, 1934 to the late Mr. Posey O’Neal Thompson and Mrs. Beatrice Simmons Thompson in Clay County Alabama. He met and married Thelma Stephens and to this union 4 children were born. Mr. Thompson served in the U. S. Army in the Korean War. During this tenure he was called out for Desert Shield Storm. He received an Honorable discharged as SSG of the United States Army. He graduated from Benjamin Russell High School. He attended Nunnelly Technical College Community College and received certification in Automotive Body Shop. Also, he retired from Avondale Mill and he served on the Goodwater Water Board for many years. He departed this life on November 7, 2018 while surrounded by his family. He was preceded in death by sister, Fannie Lou Tyler; three brothers: Allen Thompson, Mack Thompson and Simpson Thompson. 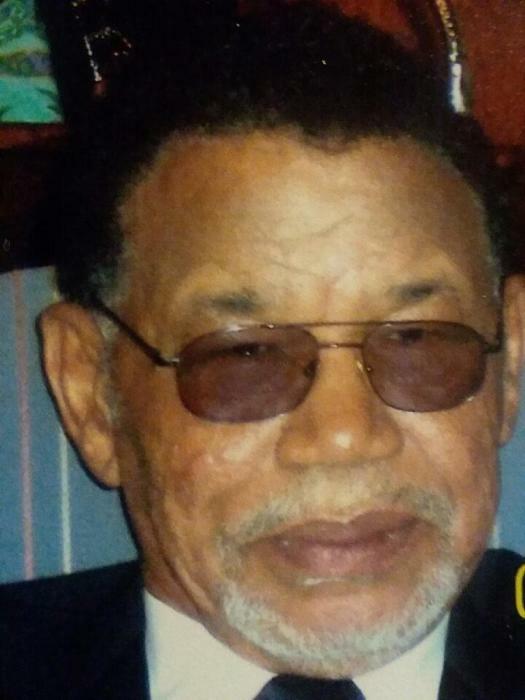 His memories will be cherished by his loving wife, Mrs. Thelma Stephens Thompson. 4 children: Lenore (Fredrick) Williams; Marnita Sutton; Teresa (Jerome) Crayton; Ramona Thompson and he raised a grandson, Lamar Harrison. One brother, Wilbert Thompson. 4 sisters: Mary (Austin) Graham; Willie Lee Turner; Connie (Carl) Buckner and Sadie (Fred) McKellar. 6 grandchildren: Terrell Williams, Larica Sutton, Sonya Sutton, Calvin Sheeley, Sheldon Stephenson, and Shareese Crayton. 5 great grandchildren: Tamia Williams, Ty’orie Richardson, Lamiya Harrison, Deasia & Daquan Doss. 3 sisters-in-law: Mrs. Ethel Thompson, Jerlene Street, and Gail McElrath.